For $5, I can get a couple of rides on the subway and if I’m lucky, a decent cup of coffee and a pastry. However, the best use of my fiver is Wet n Wild’s On Edge Crème Liner from the Fergie Center Stage collection. The velveteen, gel liner is comparable to more expensive long lasting fluid and cream liners; On Edge even comes with a brush. It comes in two colors: black and cocoa riche, which is a chocolate brown pigment. The application is smooth with a satin finish. The greatest thing about On Edge is its toughness because it is waterproof and smudge proof and it easily washes off with a cleanser. 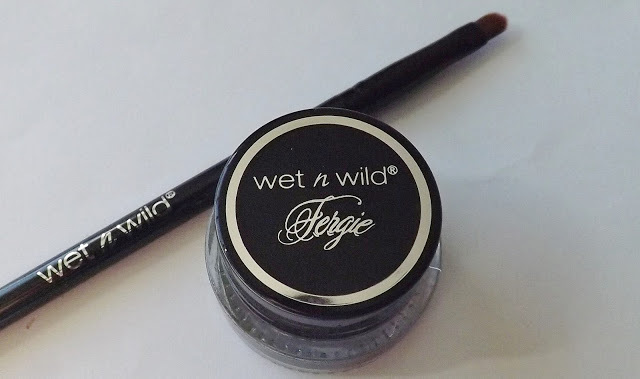 This is the second or third time that Wet n Wild impressed me with their budget-priced makeup. Next time, I just might skip the subway and overpriced coffee, and head over to the nearest drugstore cosmetics aisle.